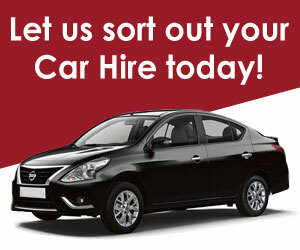 Yes, now you can earn free car rental days with CABS Car Hire! For every 15 days you rent a car, you will be awarded 1 free day of car rental with the same group vehicle on your next rental from CABS Car Hire. On your free day you will not be charged for the vehicle, you will however have to replace or pay for the petrol used and ancillary charges (e.g. : Insurance, after hours collection or delivery). Normal car rental conditions will apply. If for some reason you do not have time to book in advance and the car is not available for your free rental days, we are able to downgrade but not upgrade the vehicle class. To claim free days, please be sure to let the operator know that you are a return customer, or check the “yes” button on the return customer section of the booking form. Should you wish to transfer your free days to another person, simply contact us by email and let us know their details.